I haven’t made this drink in a long time, and at the time, I was still learning a lot about mixing drinks. Indeed, it was nearly two years ago that I first tried this muddled blueberry drink named after a DC Comics character. And astute readers will notice a serious error in the production of this drink, and also that I used a cocktail glass as a mixing glass. Those were primitive times. The Blue Beetle is a perfect drink for a Saturday afternoon, or even a Sunday morning. It is light, fruity, floral, and sweet. The botanical flavor of gin complements and the earthy sweetness of fresh blueberries make an excellent combination. I used Tanqueray 10 here, but in retrospect I think the added sweetness from an Old Tom gin would probably be excellent. I started with .75 oz. of fresh lemon juice. Always remember, your drink is no better than the worst thing that you mix into it. If you use a cheap, pasteurized sour mix, you are the Taco Bell of bartending. As a matter of fact, nothing will work for a proper drink except for freshly squeezed lemon juice. The flavor of lemon juice immediately begins to degrade once it has been squeezed, and within a few hours it will have lost all of its delicate floral tones. 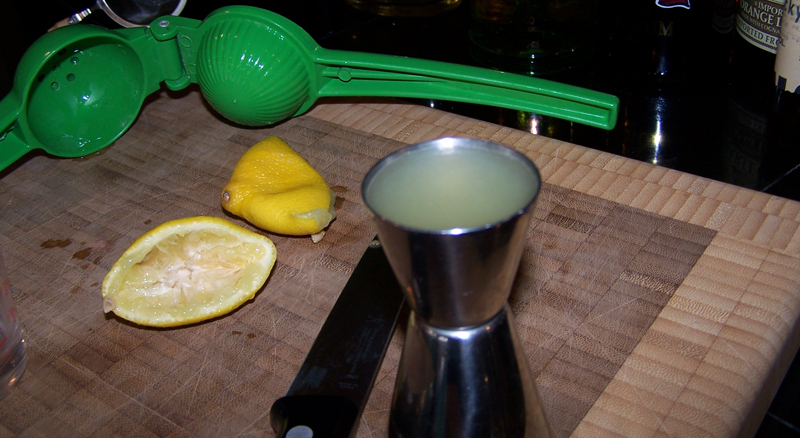 I highly suggest a citrus squeezer if you intend to juice limes or lemons in any quantity. I haven’t actually tried the Chef’n one that I linked to, but the company that made them was in the same building as my old office, and the attachable filter looks very convenient. Cleaning the standard kind, such as the one depicted above, can be a bit of a nuisance. What gives this drink it’s distinct quality is that it starts with a blueberry cordial. 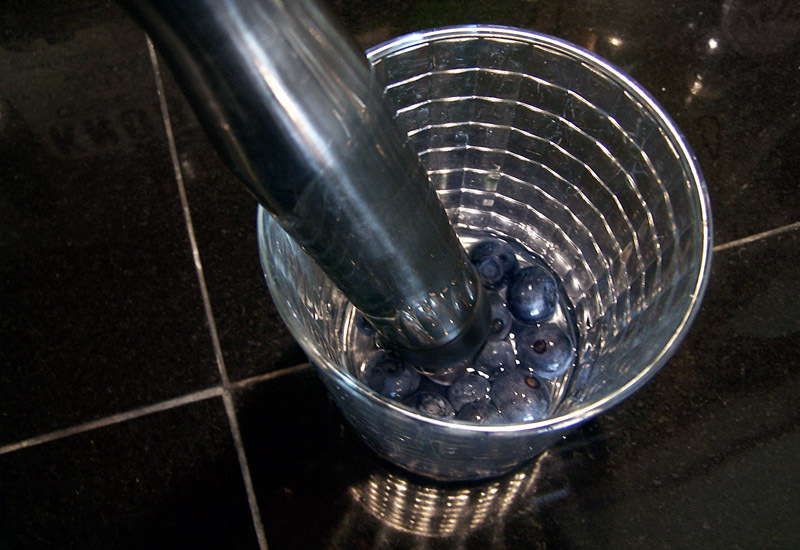 Anyone can make a blueberry cordial, it takes nothing more than simple syrup and blueberries. I smashed about 18 blueberries in half an ounce of simple syrup with a muddler, but you could pulverize them in the syrup any way you like. After you have made the mixture, strain it through a fine mesh strainer. 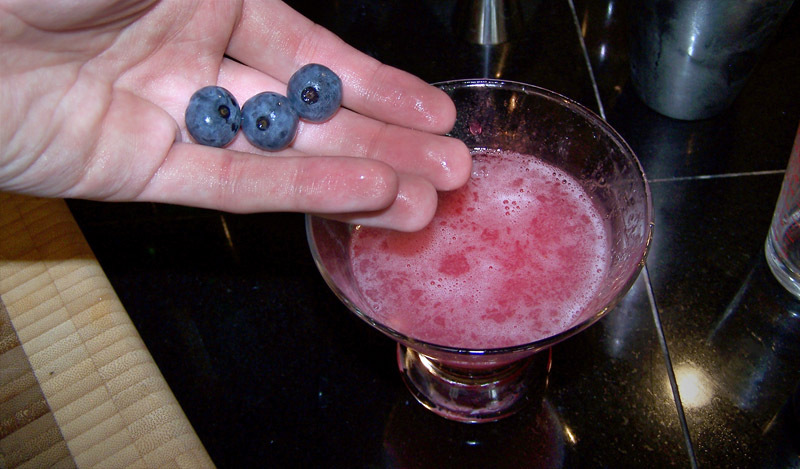 You wouldn’t want any big pieces of blueberry pulp in your drink. I have made this drink a couple of times since, and I have found that the flavor of blueberries can vary substantially, even among ripe blueberries. Some blueberries can be quite a bit sweeter, and some can be more on the tart side. That’s why it’s important to taste your cordial before you integrate it into the drink, and after you incorporate it with the lemon juice. If you don’t find the right balance between sweet and sour, you will need to make adjustments in the amount of syrup vs. lemon. Add ingredients a dash at a time, and try not to change the overall ratio of spirits : modifiers. This tea-strainer was not perfect, but it worked. 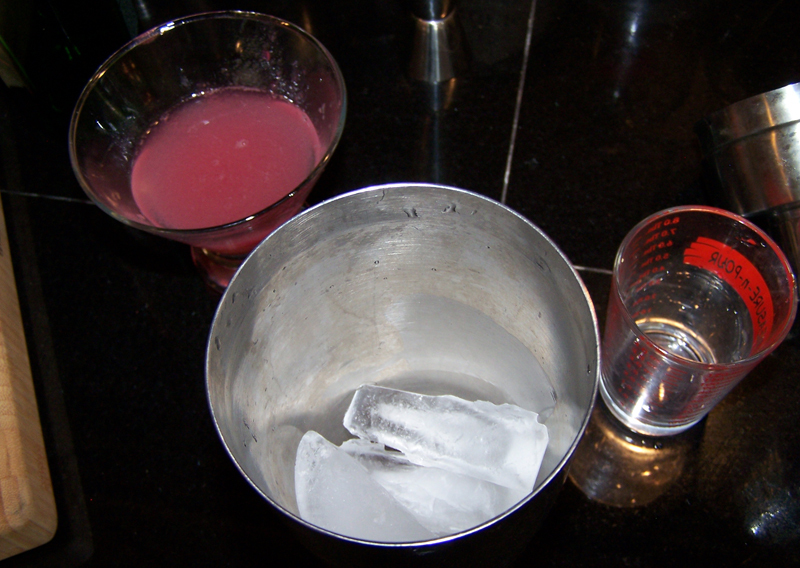 Agitating the mixture with a barspoon will help you work it through the strainer. Ah, the indiscretions of youth! I failed to double-strain this drink, meaning I surely left small pieces of ice floating in the drink. This is always undesirable, and the sign of a lazy (or very busy) bartender. They don’t completely ruin the drink, but they produce a distracting texture, and should be avoided. Similarly, drinks which contain fresh citrus may have some pulp in them, which is delicious in the morning, but it detracts from the elegance of a pre- or post-prandial libation. Drop a few blueberries in for a garnish. The color of this drink was spectacular. 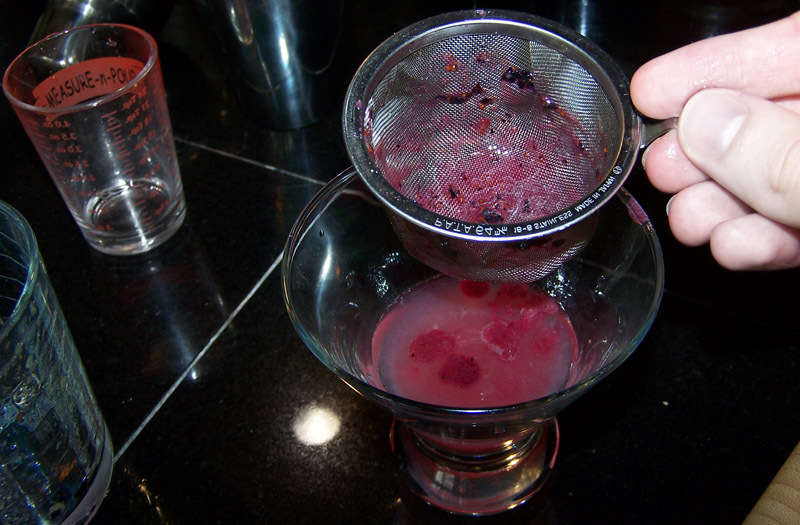 Make the blueberry cordial by smashing the blueberries in the simple syrup, and strain. Shake all of the ingredients over ice and double strain into a cocktail glass. Looking back I found the original recipe that I followed, and it turns out I didn’t even do it right. At The Pegu Blog he made the drink with less lemon and with two dashes of grapefruit bitters. I think grapefruit bitters sound excellent in this drink, and I will make sure to try it that way in the future. I’m not sold that it’s necessary, as bitters can often muddy the flavor of citrus, even when they are citrus bitters. 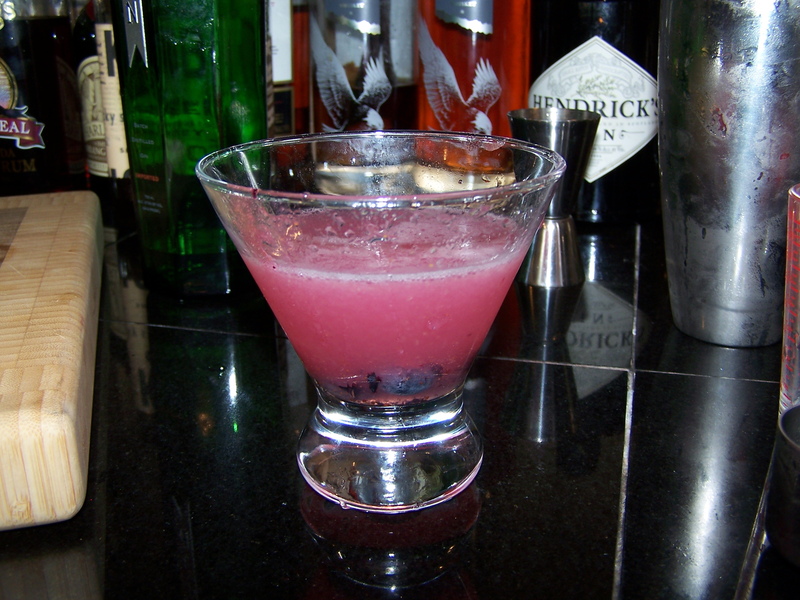 Categories: modern drinks | Tags: blueberries, gin, sour | Permalink. I make so many of these that I cook the blueberry syrup in job lots, but I will have to try this individual serving process! As for the difference in taste, if your fresh blueberries are not from the United States, don’t bother with them. And wild blueberries have even more flavor into smaller berries. I don’t know how wild berries muddle, though. Finally, if it technically a Blue Beetle #2. Jacob Grier of LiquidityPreference.com invented the original Blue Beetle, which is a vodka, elderflower, and blueberry concoction. Also very good. What gin are you using? For this one I used Tanqueray 10, but I really haven’t found the perfect gin for this drink yet. Whitley Neil is the best, or at least what I developed it with. It otherwise goes best with lighter, more citrus-forward gins. I’ve never tried it with Hendrick’s, which I see in your picture, but I’m kinda doubting that would be a good fit. I’ve never seen Whitley Neil in Washington, but I’ve been thinking that next time I will use Hayman’s Old Tom, because I find the sweetness gives if a very fruity characteristic. I actually haven’t restocked Hendrick’s in a while, though I do miss it for my martinis. I really like blueberries, no matter what in reference to, and certainly welcome them in cocktails. 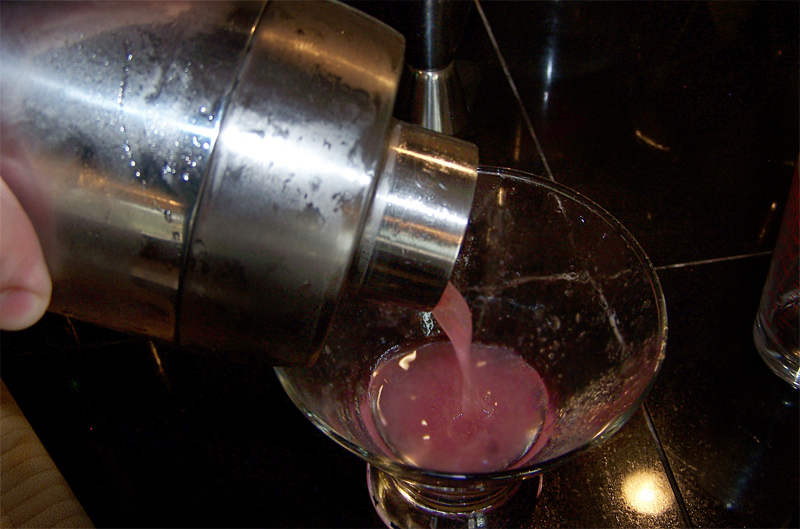 I also enjoy muddling, that is I feel like I get much more from the muddled flavors. I’ve heard of many who practice, but it was Alberta Straub’s podcasts that flipped the interest switch for me and got me doing it. Have you ever made this drink without straining? I’m not saying “eating” your drink is better – just different. I pour unstrained versions of the Caipirinha most of all, for some reason thinking they should never get strained. If you haven’t tasted your Blue Beetle unstrained after muddling, give it a sip to see what you think. It might fit in every once in a while. Nice job – I like the step-by-step pics as your build your tasty drink.